As we all know, the glamorous long hairstyles would not be an appropriate choice for thin hair. Thanks to the popularity of pixie cuts and bob, there are endless of short hairstyles right here to make your look more fabulous than others. Shorter length layers are being a best way to create added volume and depth for thin hair. The cool blunt cut can also make your hair appear thicker. Today, let’s take a look at 22 trendy hairstyles for thin hair in this post and hope you will find your new look! 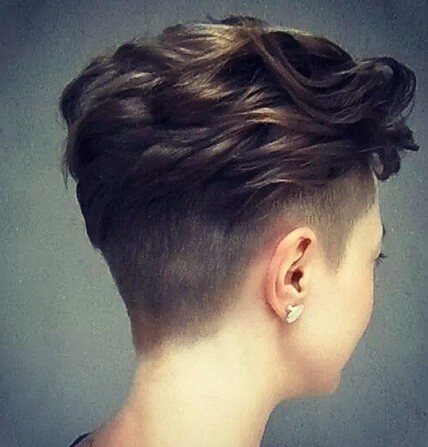 It looks absolutely cool to create a fauxhawk style on short hair. 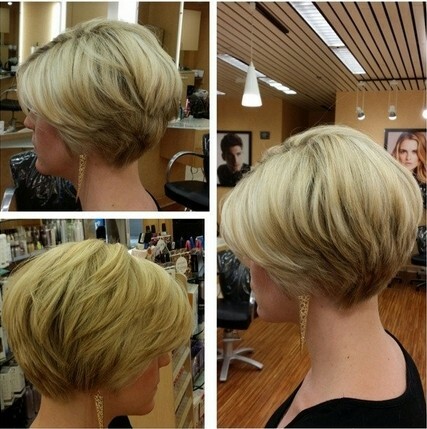 This short haircut is certain to be an eye-catcher with the platinum blond hair color. 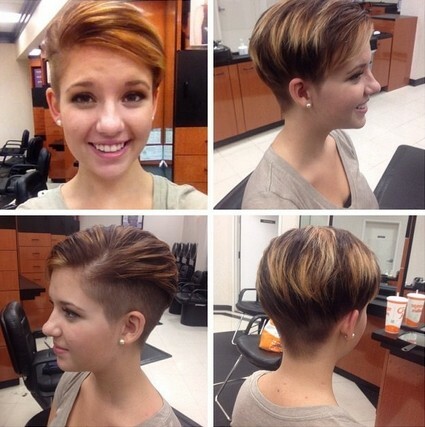 The short pixie hair cut will show edgier and prettier with cool undercut. It works wonderfully-chic on light blond hair. If you are still worrying about the damage that the chemicals will bring to your delicate hair, the short layered hairstyle with highlights will be a perfect alternative. Curls are being another best choice for thin hair. 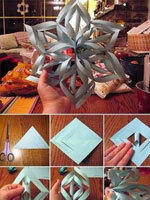 They will be able to create a more flattering body and shape than thin, flat hair. 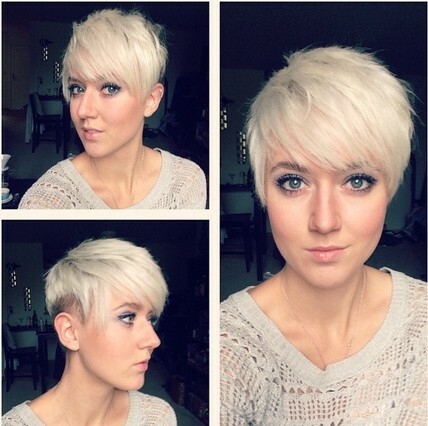 The short hairstyle will look great for women of all age groups. You can add subtle bangs to for a super cute and trendy style. 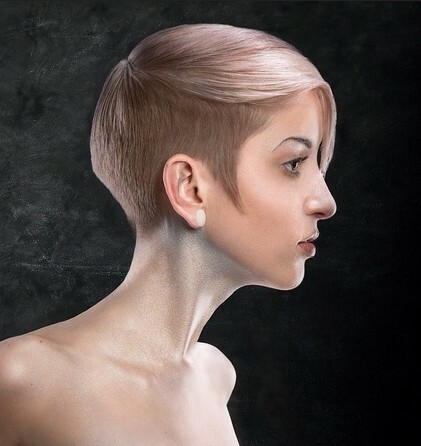 The short pixie haircut is a perfect choice for girls with thin hair, as longer hair length will show your hair thinner. 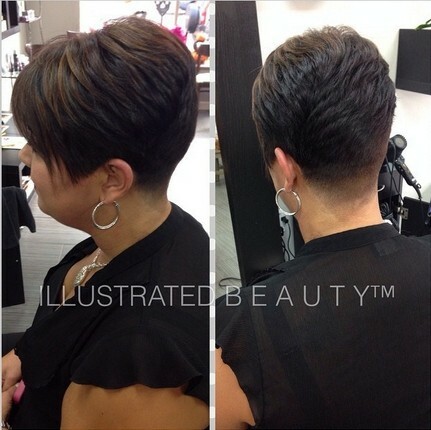 To create more textures and volume, you can cut shorter layers to your hairstyle. 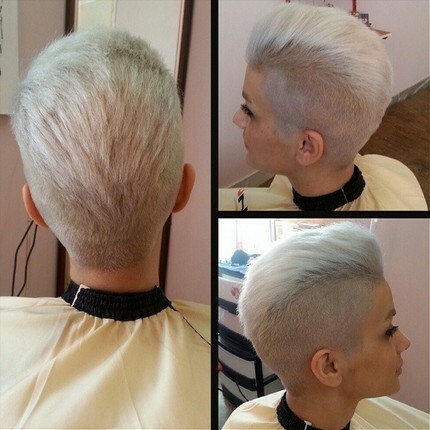 It is a great idea to place some blond streaks for your short hairstyle. The deep side parting will add a strong edgy and modern sense to the whole look. The cool blunt cut will make your soft tresses appear thicker and cooler. 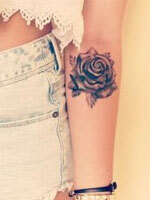 It is being a great choice for girls with thin hair. The stylish long side bangs will help to create a flattering hairstyle for thin hair. You can also ask for blunt cut to make your bangs look thicker. The long straight bob haircut looks fabulous on thin, straight hair. 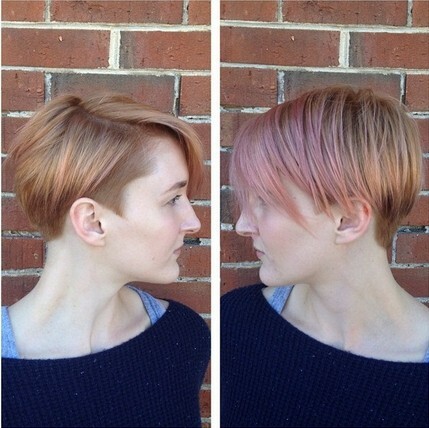 The flattering chin-length is being a perfect way to create a visual illusion in the volume. The soft, loose beach wavy is being a great choice to create added volume for thin hair. The whole effect will be greatly enhanced by the magic blond ombre color. 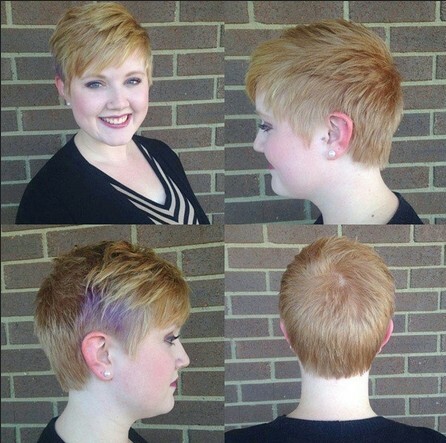 Layers will be able to give more lightness and lift to your short hairstyle. 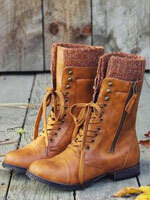 It can be tapered to suit any face shape along with side bangs. As the metallic color is being so popular this year, so why not putting it on your hair? 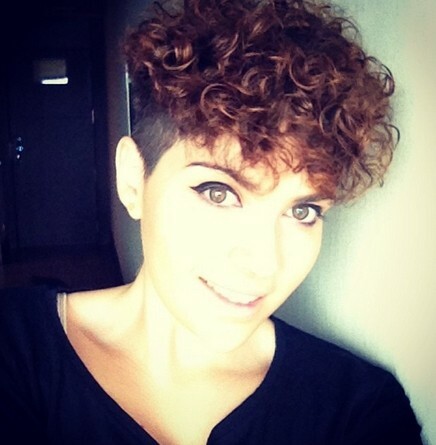 The short hairstyle will show more impressive with a right color. 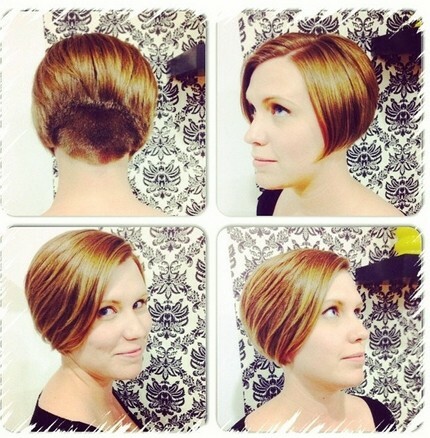 The stacked bob haircut looks perfect on medium brown hair. This hairstyle can work with or without bangs for women. The lighter shaded highlight will be able to make your hair look thicker and fuller. You can also try dual-shades to give more definition to your hairstyle. You should really feel lucky if you are born with healthy hair. The good hair condition will allow you to get a perm to keep your hair in curls for a longer time. The side swept bangs will frame your face shape better when styled smoothly upon the face. The flattering eyebrow-skimming length can help to draw the attention to your attractive eyes. This hairstyle is great for those girls who love glamorous vintage looks. The long top layers are being styled with extra-large waves. 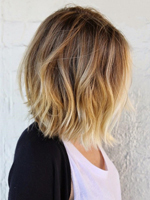 The simple bob hairstyle will look more flattering with short layers. It can work perfectly for all hair types.